With any emerging medical imaging technology, there will be those who embrace and attempt to refine a potentially revolutionary modus operandi and those who hesitate to change the status quo. 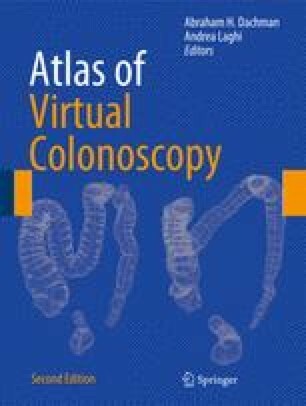 The history of computed tomographic colonography (CTC), also known as virtual colonoscopy, in the United States is no different. From the birth of the concept of “noninvasive, virtual colonoscopy” in 1994 , CTC has taken many steps forward and a few steps back on the way to becoming an indisputable alternative to optical colonoscopy for colon cancer screening. American College of Radiology Imaging Network. Acrin Protocol 6664: the National CT Colonography Trial. http://www.acrin.org/TabID/151/Default.aspx (accessed February 9, 2010). ACR Practice Guideline for the Performance of Computed Tomography (CT) Colonography in Adults. http://www.acr.org/SecondaryMainMenuCategories/quality_safety/guidelines/dx/gastro/ct_colonography.aspx (accessed August 24, 2010).